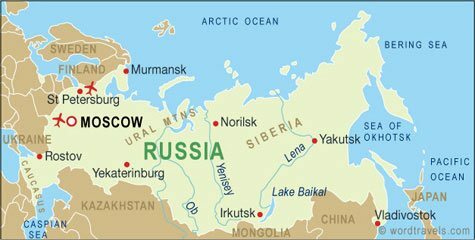 Russia (5): Golf in Russia is only played from May to October as Russia has a cold climate that only allows for golfing 6 months of the year. Moscow, where most of the Russian golf courses are located, has a range of accommodations, restaurants, and cultural attractions, but service is generally average. Thailand (10): Thai culture is unique. This combined with numerous attractions, and excellent nightlife makes for well-rounded golf trips. Golf in A Kingdom is focused on the Thai golf experience. My favorite activity after golf is a $10 US foot massage. It is so soothing after walking 18 holes. Russia (3): Golf in Russia is expensive. Green fees can be as high as $300 US a round. Accommodations, food, and entertainment are also much more than most other golf destinations. Thailand (8): Thailand green fees used to be particularly inexpensive. Nowadays, it can cost upwards of $200 US to golf at a premium Thai golf club like Thai CC in Bangkok or Red Mountain in Phuket. The good news is that lodging and other golf trip costs are still reasonably priced, so that a Thailand golf package won’t cost as much as you might think. Russia (4.35): Russia is not really a golf travel destination. The season is short, golf is expensive, and tee time availabilities are poor. If you happen to be in Moscow in the summer for other reasons, then a quick round of golf might make sense. Thailand (8.70): Thailand is a premium golf holiday destination and for good reason. There are 9 excellent golf areas with courses tourists can play. For a truly special golf experience with a high level of enjoyment, Thailand is at the top.